It’s been five years since I joined WineDirect. I won’t kid you; at that time we thought wine online was about to take off. You could feel the excitement in the air. While it's grown considerably since then, it certainly hasn't grown to the extent that we had hoped or expected. At least not yet. 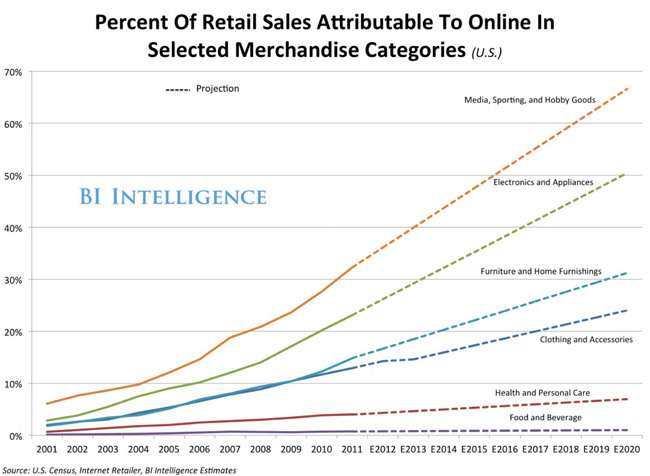 We’re still far behind almost every major category in terms of ecommerce sales. In 2014, total online sales in the US passed the $300 billion mark according to Commerce Department estimates. That figure represents a 15.4% increase over 2013. But what’s even more interesting is the fact that when you exclude categories that aren’t typically traded online (like fuel and housing), web sales now represent 8.3% of total retail sales. Those figures are even more striking for certain products. In categories like media, sporting, and hobby goods, more than 50% of sales occur online. The chart below, compiled by BI Intelligence using data from the US Census and Internet Retailer Magazine, shows the growing influence of the Internet for certain categories. In sharp contrast, online sales of wine are still disproportionately low, at less than 3% (excluding tasting room sales). There is no question that the wine market’s liberalization has taken longer than most people thought it would. Why do I think that this time we really are on the verge of a tipping point? 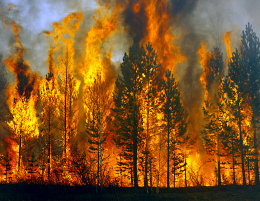 If you happened to read Malcolm Gladwell’s bestseller, a Tipping Point is defined as “that magic moment when an idea, trend, or social behavior crosses a threshold, tips, and spreads like wildfire.” And I’d be willing to bet that wine online is about to do just that – spread like wildfire. This isn't just wishful thinking. There is solid evidence to back it up. For the first time this year, we moved more shipments in February than we did in either November or December. At WineDirect, we’re referring to this increased steady state as our “new normal”. 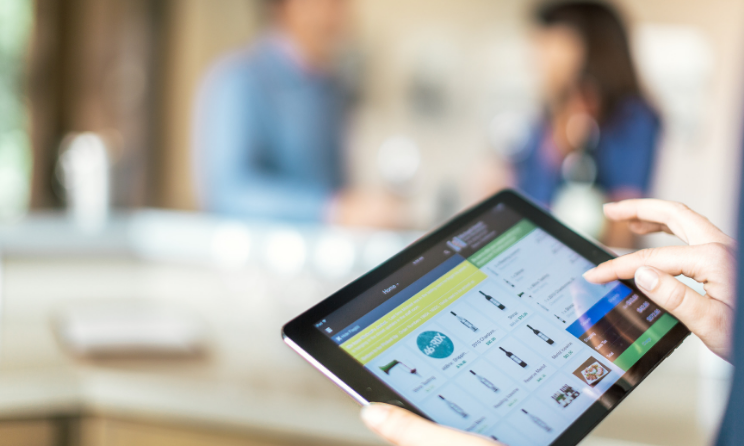 Part of that increase is due to the fact that it’s become easier and easier to order wine anytime, anywhere. 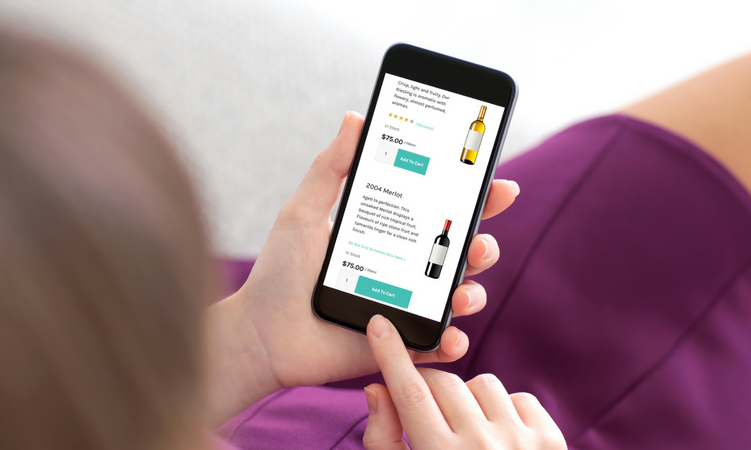 Our data suggests a trend with new, younger wine consumers purchasing online. In December of 2014, 34.8% of traffic to websites on our platform came via a mobile device (excluding tablets), compared to just 9% a few years ago. Wine’s day in the sun has been a long time coming, with quite a few starts and stops and an enormous amount of money poured into previous attempts. It’s now been 16 years since Virtual Vineyards (a distant predecessor to Wine.com) first announced its VC financing. Several changes of ownership and management later, Wine.com is now reportedly at $80M in revenue*. Contrast that slow (and painful) progression to the swift growth of more recent entries in wine ecommerce: NakedWines.com, ClubW, and others like VinoMofo.com in Australia. The rapid growth isn’t limited to these eTailers only. One story that caught my attention this month was that of Vente-Privee, a member’s only flash site based in France. In 2014, they sold 4 million bottles of wine online (approximately $50M in US dollars) - this from a company whose specialty was initially brand name fashion! Of course, one could argue that they’re operating in Europe, without the burden of US regulation. But we’ve witnessed major progress over the past few years, especially for wine producers. With South Dakota’s governor signing a direct shipping bill into law last week, the number of states prohibiting direct shipment has dwindled down to seven. Contrast that with 2002, when roughly half of US states prohibited direct shipment. This is all positive news for WineDirect and for the industry at large. The knowledge we’ve gained by virtue of the vast amount of data processed through our platform allows us to better understand market conditions and growth drivers for the years ahead. In turn, we plan to use that experience to your benefit, by continuing to build products and services to help you sell more wine.